My research focus on Critical Pedagogy, and Intercultural/Iintracultural learning. I apply these two pillars to all teaching material and projects I create as an educator of second language acquisition for the Portuguese Language Program. Critical Pedagogy applied to the teaching of a second language allows for a vast array of relevant critical topics. These issues surface at different moments and at different levels of intensity in class and can be carefully addressed as they emerge to help students be as successful as possible while they navigate both cultures with an open-mind and respectful demeanor.The student’s role as an intercultural and intracultural learner is well defined when topics arise that are intrinsically part of one country’s narrative but not innate to the other. The structure of the material and/or the project I create allow for civil discussion so that participants can obtain full clarification, form opinions, or perhaps most important, use that information to instigate thought. Participants’ understanding that a careful analysis of cultural characteristics will provide the groundwork for questioning the status quo, is key to this project. It will also instill the passionate nature of intellectual curiosity. The assumptions that have shaped Brazilian view of America. The discourse of Western culture and Eastern cultures. Is it possible to step out our own cultural sphere and comprehend “the other” ? English as a supreme language and dominant culture --- how do we promote an egalitarian conversation? Social stratification within a nation as well as between nations. Moral progress in feminism and gender issues in the last decades of the 20th century and beginning of the 21st century. Subliminal messages, mainstream media and independent media. Influence of media, the rise of a “culture industry” produced by the internet boom and the fall of TV for Millennials. and English in Brazil. The key ambition of this project is to create a language/culture situation that is truly intercultural and enables participants (students and instructors) to reflect on new cultural symbolisms and to reconstruct old ones. I have created this project based on the concept of Critical Pedagogy which is the foundation of my teaching philosophy. The project is implemented through the use of technology. Students in the Duke Portuguese Language Program and students in the Center for English Studies at Universidade Federal do Para (UFPA), Brazil meet via live Skype sessions. I use technology to teach the language and culture of the two countries, Portuguese and Brazilian culture at Duke University and English and American culture at UFPA.The sessions occur within the Portuguese classes timeframe at Duke and as an extracurricular course at UFPA. The unique experience of being exposed in live conversation with an outside native speaker, thousands of miles away has produced phenomenal results as can be verified by the fast acquisition of fluency and growth in cultural reflections shown by our students. A vast array of relevant critical topics surface as participants become familiar with each other during the project. These critical topics are carefully addressed as they emerge to help students be as successful as possible while they navigate both cultures with an open-mind and respectful demeanor. These topics are included in regular class discussions, so that participants can obtain full clarification, form opinions, or perhaps most importantly, use that information to instigate thought. Participants’ understanding that a careful analysis of cultural characteristics provides the groundwork for questioning the status quo, is key to this project. It also instills the passionate nature of intellectual curiosity. The topics that inspire critical thinking and challenging discussion vary from dealing with stereotypes, being aware of unilateral thinking, and avoiding a judgemental attitude. Some of the topics cited below (but not limited to) derive from a pedagogical foundation that instigates both their curiosity and their intellect. The structure of Project ICONE’s meetings must be simple and straightforward in order to allow students to focus on content and have a positive experience. Conversations start in English for the first 20 minutes and then switch to Portuguese the next 20 minutes. During this part students talk one-on-one. The final 10 minutes are off camera when students and instructors on each end wrap up with comments of that session. We comment on new words they have learned and taught, cultural traits they have shared, and most importantly, compare their ideas of a specific topic before the session and their first reaction on the same idea right after the session. The assessment continues in a take-home exam. Students write a composition describing the experience in-depth, articulating their thoughts, and using their newly acquired language structures. Duke and UFPA meet every Wednesdays and Fridays in the spring semester. I encourage students to extend their meetings outside class. This part is not mandatory, but it maximizes learning and students usually view it as a natural part of the project. This project has led both professors and students to develop original research and produce papers and conference presentation. 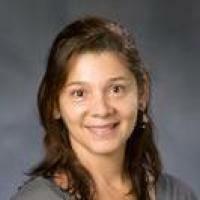 Prof. Walkyria Silva is writing an analysis of Projeto ICONE entitled “Motivation and Language in Real Life”, I am currently writing an article entitled “Project ICONE: Language and Culture in Real Time” which I presented in the ESL Conference in the University of Winnipeg, Canada in May 2015. Student Dayane Paixao has presented a paper she wrote on the project in the UFPA Language Conference in April 2015. Project ICONE’s great potential as vital linguistic and cultural tool comes from my very specific cultural knowledge of the U.S and Brazil, decades of classroom experience and a drive for innovation and challenge. The project encompasses the work of a language professor, a writer, a coordinator, an administrator for logistics and finances all in one person, but it is worth every effort when the outcome goes from surprising pleasures to life changing ideas.